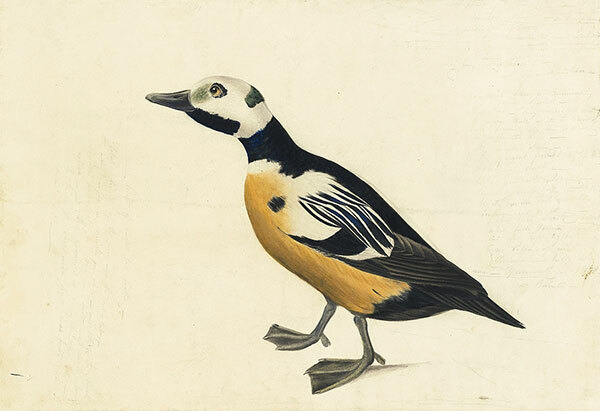 JJA wrote in the Ornithological Biography that he had never seen this western duck and, therefore, “I have introduced a figure of it taken by my son John Woodhouse, from a beautiful specimen in the Museum of Norwich, in England.” The watercolor of the standing bird after a stuffed specimen (1863.18.37) was predominantly by JJA’s son. 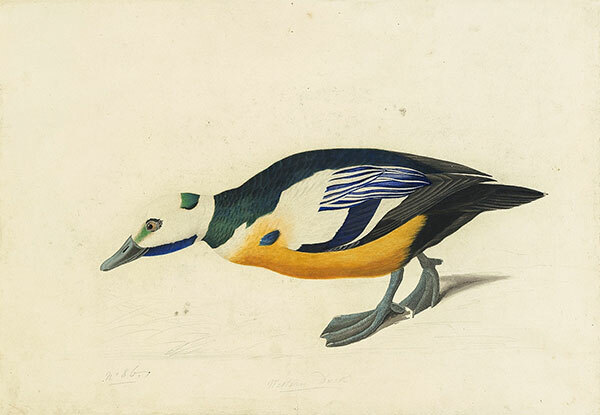 After studying his son’s work, with great imagination and knowledge, he animated the bird in his own watercolor of the species (1863.17.429). 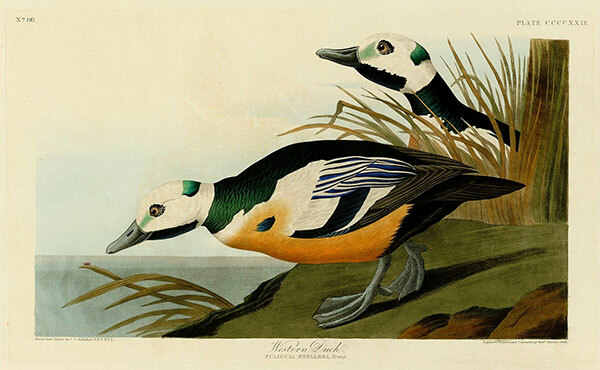 Then, he instructed Havell to combine the two in the engraving (Figure 1), placing the more horizontal adult bird in the foreground with the head and neck of the more vertically positioned juvenile behind the grass at the right.